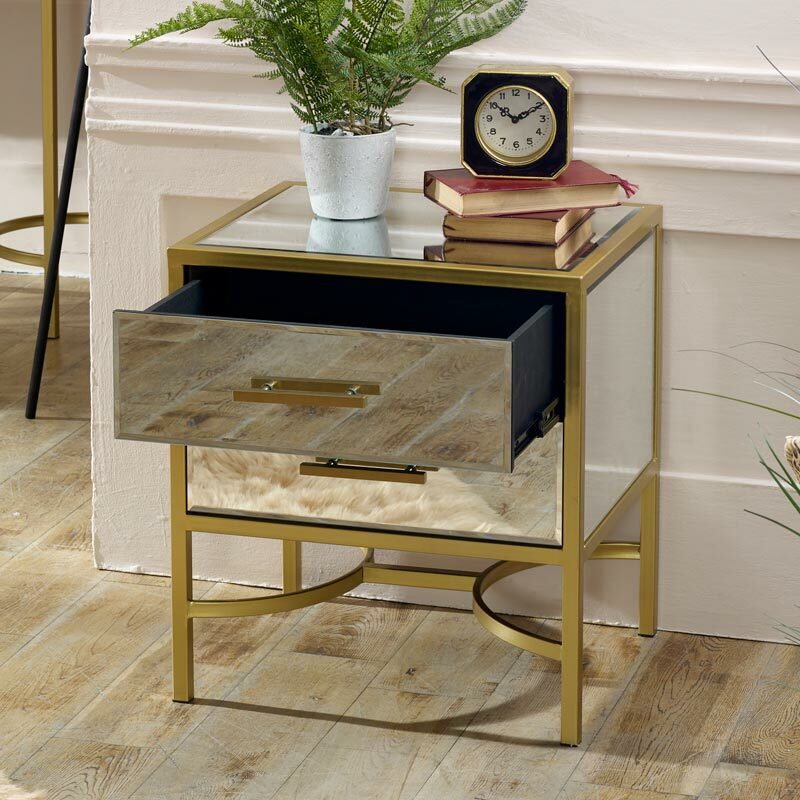 Stunning bedside / occasional table with gold metal frame and clear glass mirrored panels. Stunning luxe style furniture for bedroom and living room. Matching furniture also available. The Venus Range offers a glam and luxurious look with mirrored panelling. Perfect for modern, contemporary and vintage home decors. This table can be used in the bedroom as a bedside table or equally at home in the living room or hallway as a side, occasional table. 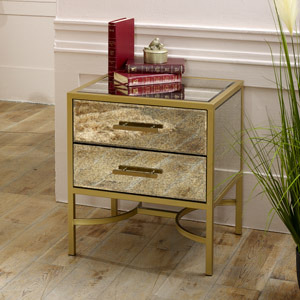 Featuring 1 drawer storage, the Venus Range gives a stunning look and will suit many interior decor styles. 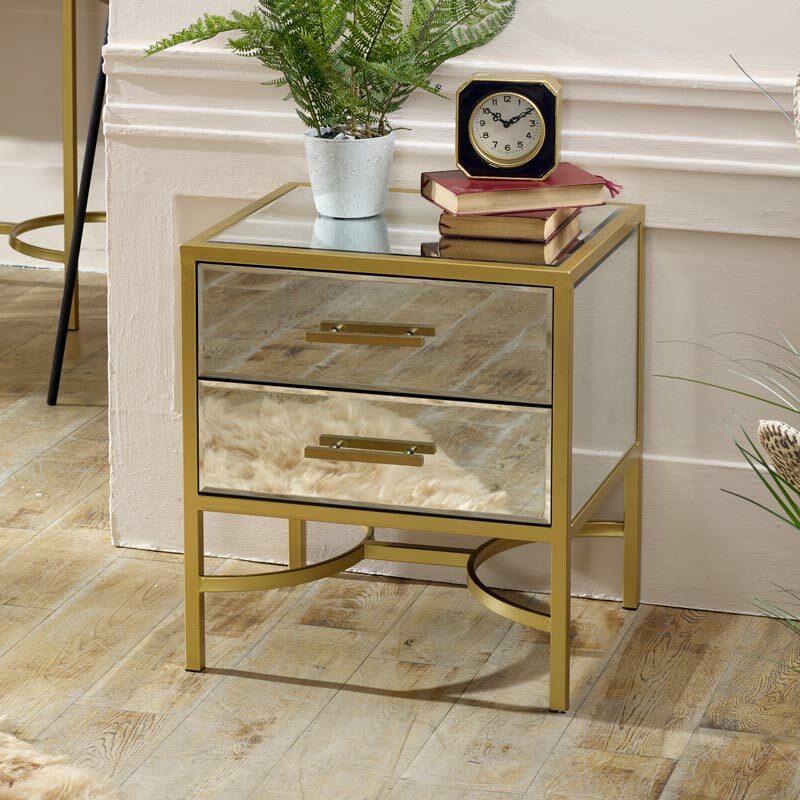 Stunning bedside / occasional table with gold metal frame and clear glass mirrored panels. Stunning luxe style furniture for bedroom and living room. Matching furniture also available. The Venus Range offers a glam and luxurious look with mirrored panelling. Perfect for modern, contemporary and vintage home decors. This table can be used in the bedroom as a bedside table or equally at home in the living room or hallway as a side, occasional table. Featuring 1 drawer storage, the Venus Range gives a stunning look and will suit many interior decor styles. 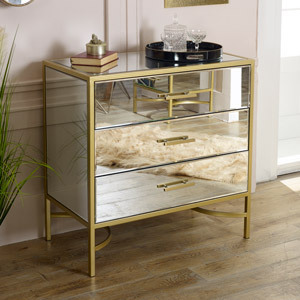 Constructed with gold painted metal frame and clear glass panels. The bedside table comes fully assembled and ready for use. Drawers measure 48cm x 13cm x 28.5cm (width x height x depth).